Book Your FREE Personal Training Session With Emma On 07506 718143. Get the best quality of life for all your life with Personal Training and unique group fitness classes. Based in a private studio, I’m helping individuals with their health, fitness and wellbeing without fad diets throughout Halifax, Huddersfield and the surrounding areas of West Yorkshire. 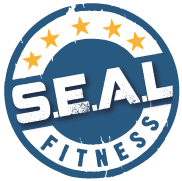 I host unique group fitness classes including outdoor HIIT, HIIT aerobics, a unique legs, bums and tums class and circuit training. All my classes are perfect for both females and males, everyone is welcome. If you need an amazing female personal trainer in Halifax and Huddersfield get in touch today either call me on 07506 718143 or contact me through this website. I have never been this fit and healthy, my strength is going up every session with Emma and I can 100% see and FEEL the difference! The classes are inclusive and you can work at your own level, but always challenging and fun. She has some great concepts N Tyre, Monopoly and Play your Cards Right. Best of all I always come away feeling like I have worked hard.